Chris Pye is a well-known name in the carving community. 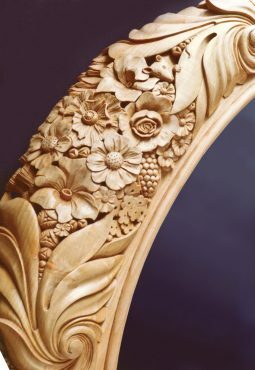 In addition to his comprehensive books and articles, Chris has carved pieces for the Royal Family of Great Britain. Chris shares his knowledge with others and is one of the key players responsible for teaching traditional carving techniques to aspiring artists. “I always feel that I’m only just warming up,” Chris said. “Carving is real. A bit of metal, a bit of tree; it couldn’t be any simpler. An Egyptian carver 4,500 years ago would understand my workshop.” Humble words from the artist who carves trophies and gifts for Great Britain’s royal family. His Royal Highness, Prince Charles, has commissioned Chris to carve trophies for various events. When Prince Charles married the Duchess of Cornwall, the staff at Clarence House, the London residence of the Prince of Wales, commissioned Chris to carve a breakfast table rose bowl for the couple. Chris’ work appears in private residences, cathedrals, and public buildings all over the world. But he never touched a chisel or gouge until he was 23 years old. Chris was always artistic, but he focused on science and math in school. It was a natural progression for him to follow this focus and he ended up in medical school. After four years, in 1975, he decided medical school wasn’t for him. Although he had never held a chisel, he decided to take a class with master carver Gino Masero. Chris set up a carving shop in an upstairs room in a Victorian house. He worked three days a week in an office setting and carved the other days. Chris eventually moved his shop to a small storefront. He put his carvings in the store’s windows and people bought them. Becoming a member of the association was important for Chris. “I never felt I could call myself a master without becoming a part of the Master Carvers Association,” he said. Chris was able to write magazine articles quickly and he enjoyed writing them. 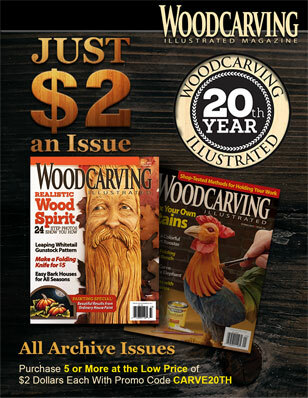 After publishing a few articles, he started talking to the editors about writing a book on woodcarving tools. “Every carving book at the time had a tiny bit about tools,” Chris said. “But for me, it’s always been the tools. There is no carving without the tools, and the cutting edge of the tool is the focus of what you are doing. Knowledge about tools is crucial. So I wrote Woodcarving Tools, Materials & Equipment hoping that no one would ask me about tools again,” Chris added with a laugh. “It didn’t work.” In all, Chris has written eight books and produced three DVDs with Rob Cosman. 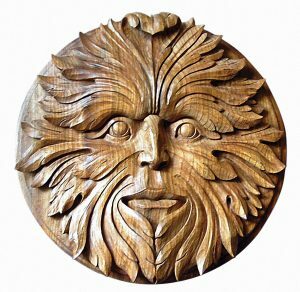 He has also written a host of articles for Woodcarving Illustrated and Woodcarving magazines. In addition to writing, Chris has taught hundreds of people how to carve. His first taste of teaching was instructing evening classes at a local technical college. The students did well and Chris really enjoyed it. 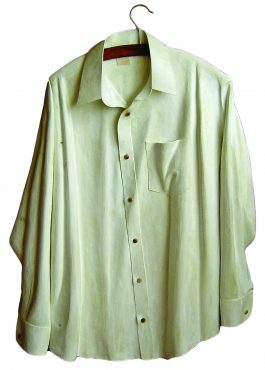 Currently, Chris offers mainly one-on-one instruction at his home studio. 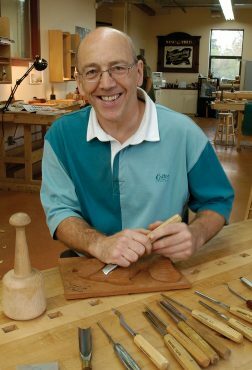 He does teach a few classes each year at the Center for Furniture Craftsmanship in Rockport, Maine, www.woodschool.org. 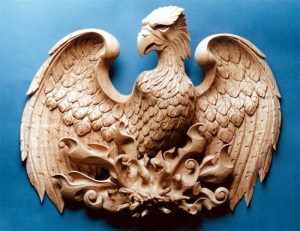 In recent years, Chris has also created a comprehensive website and offers a variety of information online at www.chrispye-woodcarving.com. 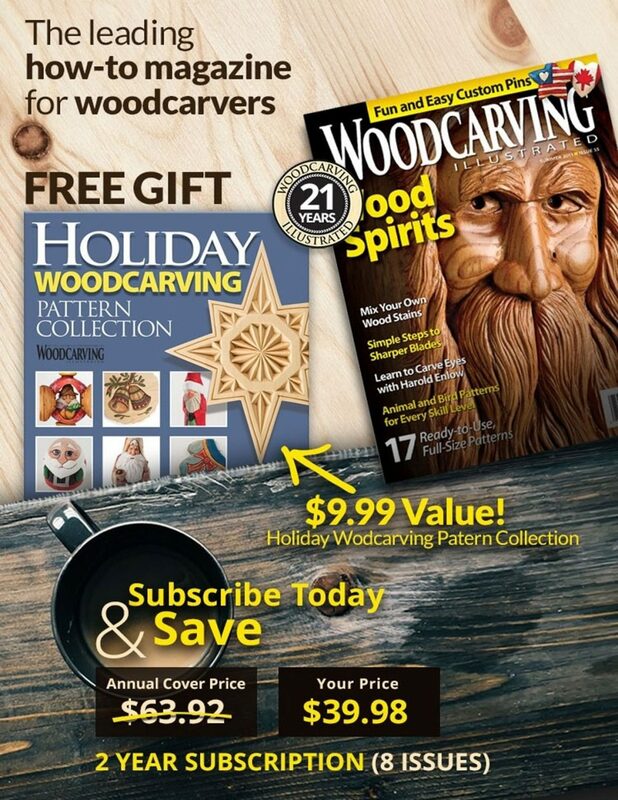 He sends out a monthly e-mail newsletter offering free carving advice and information. “It’s fascinating,” Chris said. “I didn’t start the website to evangelize woodcarving. It picked up speed on its own.” Chris has 6,500 subscribers to his e-mail newsletter, and the e-books posted on his website have been downloaded more than 120,000 times. Chris’ dedication to the art is evident. 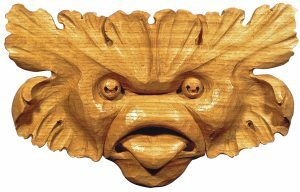 He continues to push the boundaries of his own skills and works diligently to promote the traditions of classic woodcarving. Chris continues to inspire and teach others by sharing his knowledge through books, articles, videos, and classes, as well as his website and e-newsletter. 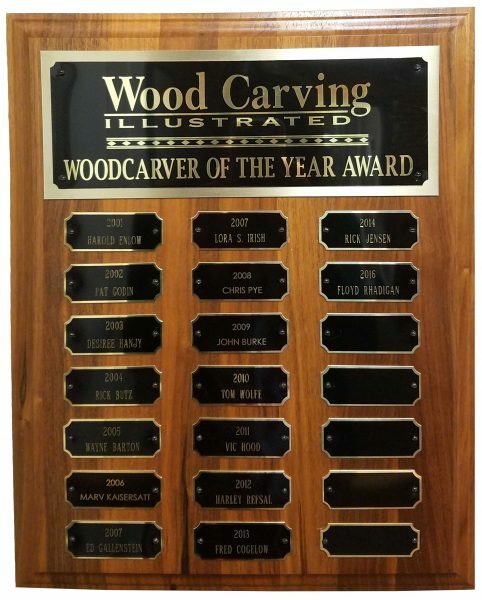 His love of woodcarving, and desire to nurture that love in others, earns him the well-deserved title of 2008 Woodcarving Illustrated Woodcarver of the Year. CLICK HERE to visit Chris Pye’s website. CLICK HERE to purchase books by Chris Pye.